(36x30) Mens Vintage 70s Levis Disco Pants!!! Groovy Micro Plaid in Light Blue and Navy! 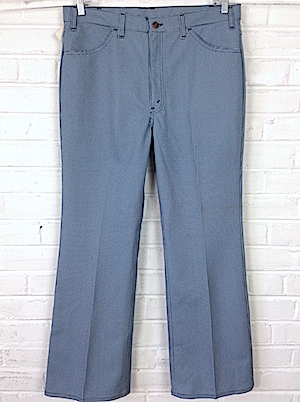 Home > Items just added 4/3-4/17 > (36x30) Mens Vintage 70s Levis Disco Pants!!! Groovy Micro Plaid in Light Blue and Navy! Mens Vintage 1970s Levis disco pants! 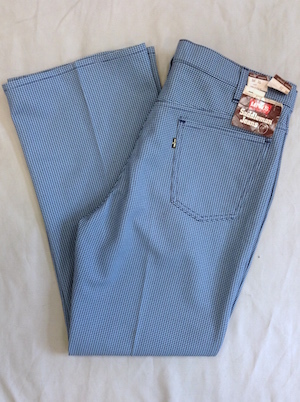 Get funky in these light blue and navy micro plaid Levis. Closes in the front with a brass colored button. Extra long and wide belt loops! 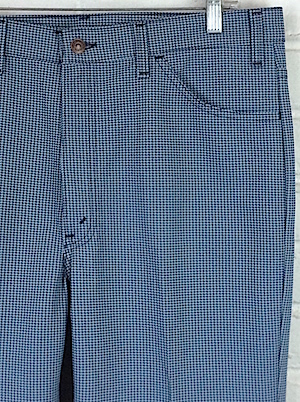 Two classic pockets in the front with two inner pockets in the back. Tagged by Levis. 100% Polyester. Condition: Excellent! New with tags!